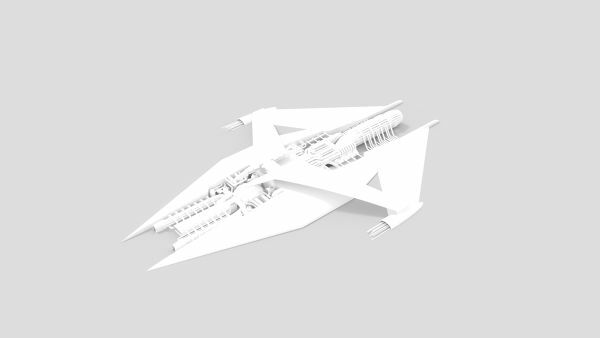 3D (CAD) model of Narn Cruiser or Narn Heavy Cruiser also known as G'Quon-class. It is the capital warship of the Narn Regime in science fiction television series Babylon 5. OBJ file included. Reference: Ding-Yun Chen, Xiao-Pei Tian, Yu-Te Shen and Ming Ouhyoung, "On Visual Similarity Based 3D Model Retrieval", Computer Graphics Forum (EUROGRAPHICS'03), Vol. 22, No. 3, pp. 223-232, Sept. 2003.